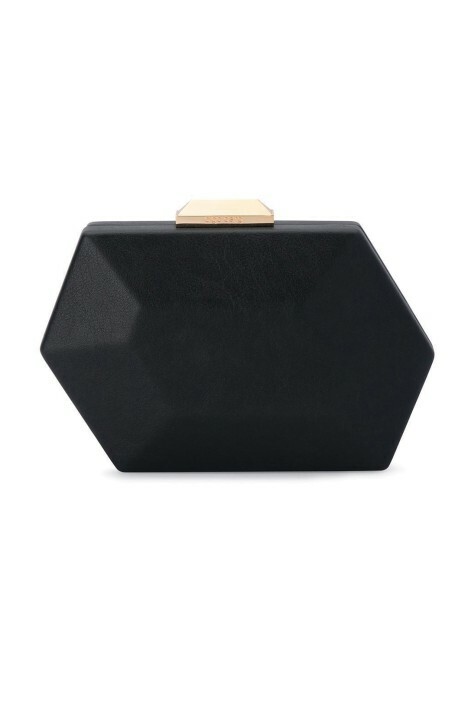 This season, we’re loving the asymmetric trend and this little black clutch by Olga Berg is the perfect complement to your floor length gown or vibrant red midi dress! Featuring a dimensional matte pod shape with gold hardware for the chic girls! Use the optional shoulder strap, or carry it in the palm of your hand! This clutch is perfect to rent for a day at the races or your next night out with friends! This super chic mini bag with an asymmetric design is the perfect conversation starter! Complete this look with gold statement jewellery, available to hire by Amber Sceats. Check out our latest blog post, ‘Black-Tie Dress Code - A GlamCorner Guide’ for all the inspiration you need to create the perfect look for your next formal occasion!